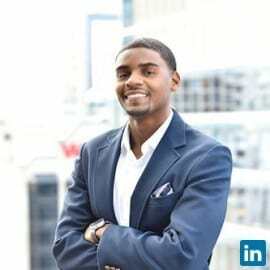 Fabian Elliott is a ‘Hybrid Entrepreneur’ as Founder & CEO of Black Tech Mecca Inc. and an Advertising Technology Consultant at Google. In his ad-tech consulting capacity, he works with top tier clients like Target, Ford, Kimberly Clark, and others to better leverage their consumer data to drive their digital advertising strategies. Fabian’s burning vision for black empowerment through technology inspired him to play a key role in the revamp, revitalization, and rebrand of Google's black employee group in which he completed his term as inaugural appointed Global Co-Chair in August of 2015. In this role, Fabian co-chaired the 10-person leadership team responsible for the 700+ membership across the company and the 14 chapters spanning the globe including London, Dublin, and Sao Paulo. Now, his latest endeavor entails transferring the expertise he used to drive change within the world’s most valuable company to the city he has come to love, by leading the charge to build  thriving black tech ecosystems in Chicago and beyond. His organization, Black Tech Mecca, is the world’s only data driven think tank focused on the black tech community. They leverage data to better connect local tech ecosystems to the needs of black tech practitioners through research, education and advocacy. Since their launch in June of 2015, Black Tech Mecca has made waves in the city and garnered national press in both Ebony, Black Enterprise, Rolling Out and other publications. Fabian is recognized by Builtin Chicago as one of the Top 50 Tech Influencers to follow and as a Chicago Tech 100 ambassador for Chicago Tech Week. Outside of the tech world, Fabian is past Secretary of the 100 Black Men of Chicago Inc., former Next Generation Board Member for American Civil Liberty Union of Illinois, and New Leadership Council Chicago Fellow (‘16).